Sparkle lights up the Christmas season with a tribute to Charles Dickens and Country music. The holiday event will run from November 25 through December 23, 2017 on the grounds of the Fontanel Mansion located at 4125 Whites Creek Pike in Nashville, Tennessee. 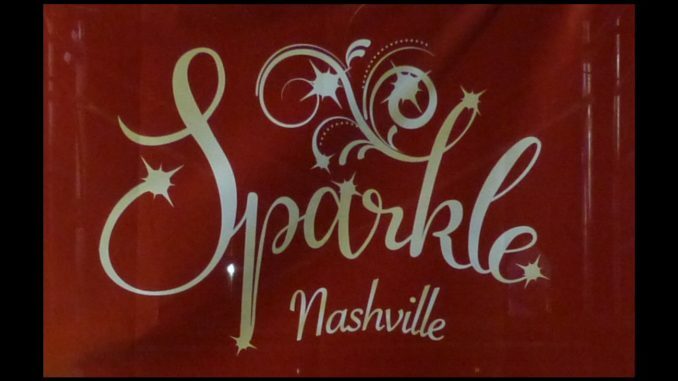 At SPARKLE NASHVILLE in Whites Creek, Tennessee. A Christmas Carol is a novella penned by Charles Dickens. It was published in 1843 with the first edition illustrated by John Leech. The now legendary tale tells the story of Ebenezer Scrooge, an old miser who is haunted by the spirit of his former business partner Jacob Marley along with the Ghosts of Christmas Past, Present and Yet to Come. After their visits Scrooge is transformed into a kinder, gentler man. Dickens wrote A Christmas Carol at a time when the British were examining Christmas traditions. With Scrooge Charles captured the zeitgeist of the mid-Victorian revival of the holiday. Dickens has been acknowledged as an influence on the modern Western observances of Christmas including dancing, family gatherings, games, seasonal foods and a festive generosity of spirit. A Christmas Carol also reflects the more sacred aspect of the holiday, which celebrates the birth of Jesus and redemption. 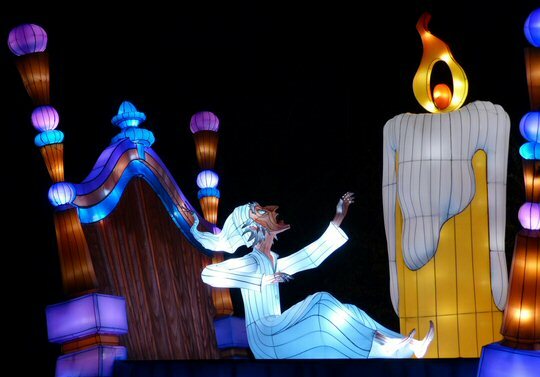 Taking a page from the author’s impact on Christmas, Sparkle presents an innovative twist using the medium of traditional Chinese lanterns to bring the story of Scrooge to life. In order to magnify the message of generosity and good tidings, Sparkle shares the Chinese custom of lighting lanterns to express best wishes for the family – a sentiment familiar and sought after in this season to all cultures, and communities. 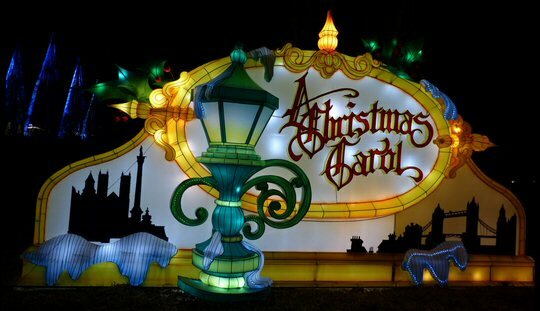 Visitors to Sparkle stroll through a Dickens’ Village filled with colorful, intricately designed, larger than life lanterns of all the main characters such as the penny-pinching Mr. Scrooge at his ledger, the Cratchit Family and the all-important Ghosts with the last found in a spooky cemetery. Along the walkway the story is narrated. Sparkle does an effective job of telling this more complicated tale in quick sound bites and perhaps sparking an interest in folks to check out the novella in its entirety. After meandering through the past fans are treated to a Country Christmas. A pack of six-story LED Christmas trees present a synchronized light show set to the sounds of two original versions of Christmas classics with Luke Bryan singing “Run Run Rudolph” plus a song recorded specifically for the event by The Nashville Sparkles a group consisting of some Nashville’s finest musicians. The eye catching trees can be seen from all angles of the walk adding spark to the festivities. Besides the main attraction with music there are carolers (on weekends), food trucks, free parking and photo ops at Fontanel. In addition to Sparkle, Fontanel is also hosting Christmas at the Mansion plus A Charlie Brown Christmas. The grounds at Fontanel features an inn, shops, a restaurant, a winery, a distillery and The Carl Black Chevy Woods Amphitheater. 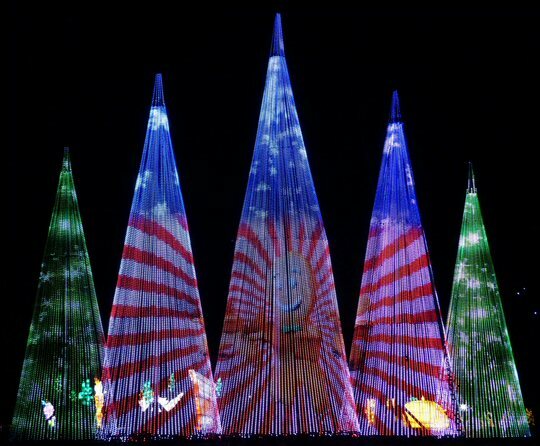 There are also trails to explore and in December of 2017 at Sparkle folks can enjoy illuminated lanterns with narration, large LED trees and more.